Crocodile Vs. Alligator: What Are The Key Differences? Heavens forbid you to find yourself face to face with either set of teeth, but for all it’s worth, you should be able to identify your threat of the day for what it really is. Alligator or Crocodile? The majority of people tend to roll down those reptiles as one, but there are actually a lot of differences between the Crocodiles and Alligators. What are the Characteristics of an Alligator? Despite their normally docile sense, alligators can be quite intimidating. 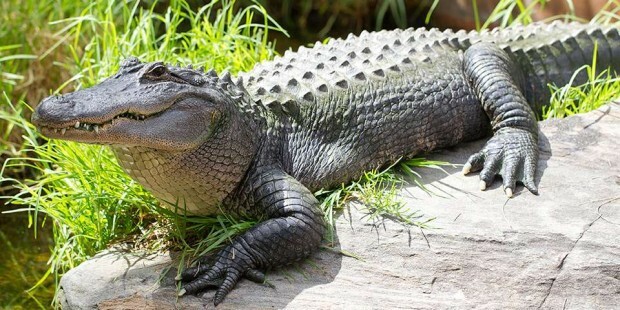 They belong to the Alligatoridae group, and those mighty beasts can grow to be at least 14 to 15 feet long. An alligator is generally identified by its shovel-like snout. Its wide U-shaped jaws tend to overlap, and that is why an alligator’s teeth don’t appear when its snout is closed. Not to mention that, when closed, an alligator’s snout forms somewhat of a toothless grin; a characteristic that can be specifically misleading. There is, of course, a reason behind this specific jaw set; alligators’ jaws are uniquely powerful, and they can withstand all sorts of hard-shelled invertebrates which constitute the majority of their diet. Alligators and crocodiles don’t defer much when it comes to diets, but it is safe to say that alligators can devour harder (shelled) preys than crocodiles. Alligators are typically found in China and the United states. An on-going debate stands about the kind of water bodies alligators inhabit, but they mostly appear to surround freshwater lakes and marshes. Not to say that they can’t survive salty water, but due to their lack of functional salt glands (they do have such gland, but they are simply non-functional), alligators can only tolerate salt for a limited period of time. What are the Characteristics of a Crocodile? Being part of the Crocodylidae family, Crocodiles mainly spread along eastern India, South-east Asia, and northern Australia. Although smaller in size, a crocodile is perceived to be more aggressive than your average alligator. Crocodiles grow to reach a maximum of 18 to 19 feet (African dwarf crocodiles only grow to be 4 to 5 feet long), yet, just like alligators, their entire body is covered with scales. The main factor that distinguishes crocodiles from alligators is their V-shaped snout and generally narrow front. Unlike alligators, crocs’ jaws are of the same size allowing little space for lower teeth to hide. Hence, a crocodile’s teeth are way more visible with a closed snout. The fourth tooth on either side of their lower jaw is specifically prominent, and it is clearly seen to override their upper jaw space. Their jaws, although relatively strong, are more suitable for devouring various kinds of fish and turtles; alligators are more suitably entitled to the jaw-strength property. Contrary to alligators, Crocodiles live in saltwater habitats. They’re functional the salt glands (modified salivary glands) filter out salt and allow for a higher tolerance advantage. Not to mention that crocodiles’ hind toes are generally more webbed; a characteristic that favors their natural choice of habitat. The key differences between a Crocodile and an Alligator are shown by the below Crocodile vs Alligator table. Crocodiles are mainly found in eastern-India, South-east Asia, and northern Australia. Alligators are mostly found in both China and the United States. Crocodiles have a narrow V-shaped snout. Alligators have a wide U-shaped snout. Crocodiles are small compared to alligators (growing to a maximum of 18 to 19 feet). Alligators are large animals (at least 14 to 15 feet long). Crocodiles have functional salt glands (modified salt glands) to filter out salt. Alligators have non-functional salt glands. Due to the above property, crocodiles live along saltwater habitats. Alligators prefer fresh water habitats (lakes and marshes). Do crocodiles and alligators get along? In the end, crocodiles and alligators both belong to the wide Eusuchia clad. This clad, however, branches out significantly separating the likes of the two. This fact is pretty much insignificant when studying the two aquatic reptiles’ attitude towards each other. 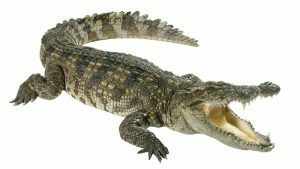 Generally speaking, a big crocodile is prone to attack a small alligator just as much as a big alligator is prone to attack a small croc. Their belonging to the same species has nothing to do with their behavior, and the normal laws of nature apply to them regularly. 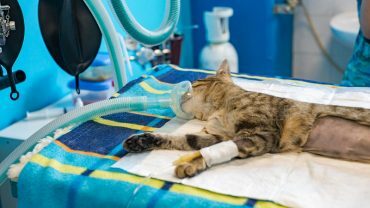 Spaying Vs. Neutering: What Are The Differences? Panther Vs. Jaguar: What Are The Differences?